The Mousetrap tickets at Liverpool Empire Theatre, Liverpool. 2019. 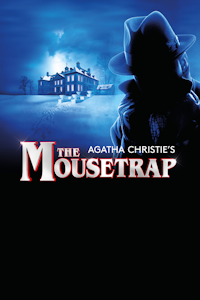 Find the best The Mousetrap play tickets at Liverpool Empire Theatre, Liverpool. Opened at the Ambassadors Theatre in London on 25 November 1952. The World's Longest Running Play! A group of people gathered together in a remote part of the countryside discover there is a murderer in their midst. The question is which one of them is the guilty party. Thursday, 30th May 2019 to Saturday, 1st June 2019.